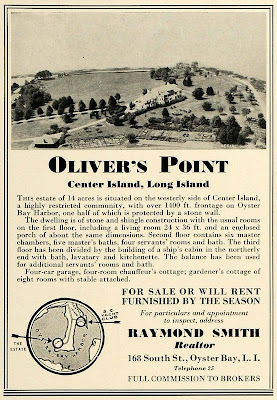 A 1936 advertisement for 'Oliver's Point', the Herbert L. Smith estate designed by Herbert R. Brewster c. 1912 on Centre Island. Click HERE to see the brochure from when 'Oliver's Point' was for sale. A "Highly Restricted Community". Funny to think that those words had positive connotations at one time. Another MM&W in Sands Point...this time built 1927. Guilty pleasure tonight; Royal Pains (USA Network @ 10 PM), a mediocre "dramedy" has one thing going for it ––– major eye candy.